SANTA MONICA, Calif., Jan. 9, 2018 /PRNewswire/ — SonoSim, Inc., a leading provider of ultrasound education and training, has officially launched a comprehensive OB-GYN ultrasound training solution in support of a recently announced consensus-based training curriculum. SonoSim’s cloud-based training platform is intended to help training programs implement a newly announced and widely endorsed OB-GYN training curriculum and competency assessment recommendations. The American Institute of Ultrasound in Medicine (AIUM) assembled a multi-society task force of experts in obstetrics and gynecology, radiology, and medical education to develop a standardized curriculum and competency evaluation process. In January 2018, American Journal of Obstetrics & Gynecology, Journal of Ultrasound in Medicine, and Ultrasound in Obstetrics & Gynecology officially published the recommendations. “We are very excited to help programs implement the latest OB-GYN ultrasound quality improvement recommendations. SonoSim’s unique ability to provide individual learners anytime-anywhere access to a comprehensive suite of training resources will help transform OB-GYN training and improve medical care,” states Nicole Durden, SonoSim’s Senior Vice President of Global Operations & Strategic Initiatives. SonoSim’s comprehensive OB­GYN ultrasound training program will deliver 14 training modules with over 125 SonoSimulator® hands­-on, simulation­based training cases across a variety of essential OB­GYN topics. 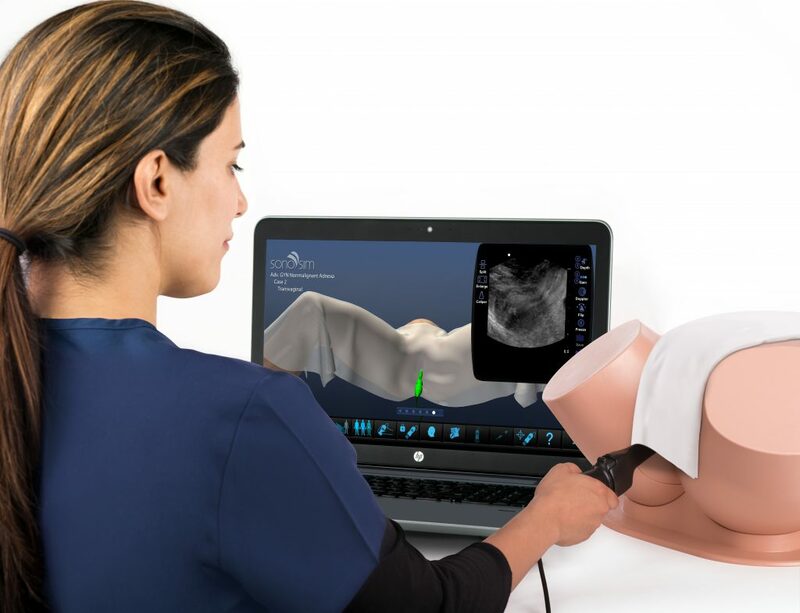 Each SonoSim® Module consists of cloud­based didactic lessons, knowledge assessments, and real-patient hands-on training cases, including transvaginal ultrasound scanning.